It really is irritating that some people need to use economic measures to value our environment. The reality is our environment, air, water, seas, national parks & Great Barrier Reef are truly priceless & must be treated as such ie no cost benefit BS studies needed. My response is really quite simple. If we don't measure the value of environmental goods and services and place them on par with marketed goods, we risk some acting as if the environment is free. It's like the nice neighbors who are going to be out of town on Halloween, so they leave a bowl of 'free' candy out for the neighborhood kids. Most of the kids (mainly the supervised ones) are good citizens and only take one or two pieces of 'free' candy. But it only takes one obnoxious teenager to recognize that 'free' means take all you can, and everyone loses out. So think of those who treat the environment as 'free' as the obnoxious teenage neighbor who needs more adult supervision. Or, start charging for your Halloween candy. Pollution and health have always been directly linked, both environmentally and medically, but few people consider the economic impact felt by countries afflicted with poor outdoor air quality. The World Health Organization estimates that the cost of disability and premature death from air pollution in Europe totalled close to $1.6 trillion USD in 2015. Each form of pollution presents its own unique challenges, while resulting in a hefty expense and posing a threat to human health. Particle pollution is a major air quality concern. Microscopic fibers from combustion, dust, and debris are spread through the air in a mix of solids and liquid droplets. Activities like industrial processes, construction, and burning emit particles that are easily inhaled or consumed. Particle pollution becomes increasingly dangerous when it includes harmful toxins like asbestos, which has direct ties to cancerous conditions including peritoneal mesothelioma. Natural disasters, demolition, and climate change can all contribute to particle pollution, sometimes causing levels to spike during certain times of the year. Due to worsening conditions, gaseous air pollution like ozone and carbon monoxide have been hot topics in recent years. Levels often increase during the summer when higher temperatures and sunlight stimulate chemical reactions in the lower atmosphere. Gases like ozone can aggravate the respiratory system, resulting in conditions such as chronic obtrusive pulmonary disease (COPD) and worsening asthma and emphysema. Although urban areas are often the most affected, the impact of air pollution reaches far into the rural and natural world. The toll air pollution takes on the environment is costly. Heightened levels of smog or haze can prevent plants from receiving needed sunlight exposure, while certain chemical emissions, like halons, deplete the upper ozone level that protects us from harmful UV rays. Crop and forest damage are a result of air pollution as well, causing land fertility issues and stunted growth. Although some headway has been made in terms of sustainability and cutting back on toxins, pollution from energy production continues to cost the U.S. hundreds of billions of dollars each year. According to a report by the World Bank, this rounds out to about $5 trillion in welfare expenses annually, with developing countries seeing some of the worst effects. Much of this is attributed to healthcare costs, as more people are being exposed to harmful airborne toxins. Additional financial burdens can develop from labor productivity and insufficient crop yields. A number of studies surrounding the economic result of air pollution recommend policy change. One report from the Organization for Economic Co-operation and Development (OECD) encourages the use of local policies to directly target and break down the issue. Certain global cities like Beijing or Dubai are experiencing increasingly dangerous air quality levels, sometimes resulting in city-wide smog warnings that bring businesses to a halt. Although there may be fears that industrial-centric jobs may be lost while attempting to reduce pollution, the economic model suggests those positions will be balanced out by gains made in other industries, including green building and architecture. Environmentally conscious policy will benefit and stimulate the economy by encouraging efficient use of resources while lessening healthcare costs. Participating in clean air initiatives and sustainable development are attractive markets for many countries. Those that enter into clean technologies have the advantage of growing and leading the industry, all while improving national health and increasing GDP. Perhaps if those financial gains were highlighted, countries like the U.S. would feel more incentivized to adopt green and non-toxic technologies to help reduce the effects of air pollution. Thank you! 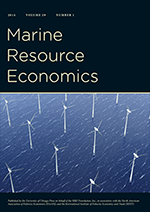 Your proof corrections for AJAR - AUSTRALIAN JOURNAL OF AGRICULTURAL AND RESOURCE ECONOMICS : 12280 : Contingent Valuation of Environmental Goods: A Comprehensive Critique, by Daniel McFadden and Kenneth Train (Eds.). Published by Edward Elgar Publishing, 2017, 319 pages, ISBN: 978-1-78643-468-5, AU$210 have been received. RFF: "Questions about the Trump Administration’s Cost-Benefit Analysis for its Proposal to Freeze the CAFE Standards"
In April, we wrote a blog post responding to the Trump administration’s announcement that it was preparing to weaken the fuel economy and greenhouse gas (GHG) standards hammered out in 2011 by the Obama administration. We argued then that although some things have changed since those vehicle rules were established, the agencies should not simply roll back standards, but pursue a strategy to ensure steady long-term reductions in passenger vehicle GHG emissions to address the threat of global climate change. Now, the Trump administration is proposing to freeze the fuel economy and GHG standards at model year (MY) 2020 levels until MY 2026 (the standards are set based on model years, which typically begin in the Fall of the preceding calendar year). This is an abrupt change from the Obama standards, which would have continued reducing emissions. Given current policies, this change would increase greenhouse gas emissions during that period and beyond. Fuel economy regulations were first established to reduce fuel use for more energy security (this rule would increase fuel use in new cars) and then concerns about climate change became an additional consideration (this rule would increase GHG emissions). The Trump administration downplays the GHG benefits of the Obama standards and claims that those standards would increase traffic accidents. The Trump administration’s modeling, inputs, and underlying assumptions behind the analysis of this new rule are quite different from those behind the analysis of the earlier rule finalized in January of 2017 at the end of the Obama administration. EPA models, assumptions, and focus on greenhouse gas emissions reductions tended to dominate the earlier analysis of the proposed rules for 2021 to 2025 MYs. The current proposed rule under the Trump administration uses models developed by National Highway Traffic Safety Administration (NHTSA) to evaluate benefits and costs. The NHTSA analysis emphasizes the effect of the new rule on fuel use, vehicle miles traveled, and accidents by the entire fleet. The effort to set standards for vehicles has always been plagued by the problem of having two masters—improving fuel economy on the one hand and reducing GHG emissions on the other. The two are closely linked, but the agencies that regulate them have different jurisdictional authority and perspectives. What is needed is a unified effort to address the societal costs of consuming fuel with clear goals and consistent modeling and analysis. To its credit, NHTSA attempts to expand the scope of the benefit-cost analysis, which could improve the accuracy of the evaluation. For example, NHTSA has introduced a dynamic stock model that includes effects of the rule not just on new vehicle technologies and costs, but on the number of new and used vehicles predicted to be on the road and how much they are driven. The model also allows for variation in the mix of cars and light trucks in the fleet in response to changes in the rule. However, while expanding the scope of the analysis is good in theory, in reality there are important questions about both the way the model is used and the underlying assumptions. For example, the analysis finds that in going from the Obama rule (stricter standards each year through MY 2025) to the Trump rule (no change in standards after 2020), the overall size of the vehicle fleet falls even though new vehicle prices are lower. On its face, this is inconsistent with economics. Further, NHTSA predicts that total vehicle miles travelled also falls during this period, appearing to assume that households choose how many miles to drive their vehicles independently of the number of vehicles they own. This assumption is also inconsistent with economics. The agency is arguing that looser standards decrease the size of the on-road fleet and decrease total driving. We’re not aware of any real-world evidence supporting this argument. These new elements of the model are key because they result in significant reductions in external costs (such as congestion) and increases in safety from the change in vehicle ages and decreased driving under the proposed new rule. In future blogs we will address other topics related to the proposed freezing of the standards, such as the effect of gasoline prices on fuel economy standards, assumptions about greenhouse gas emissions and other air pollutants, and the possible use of a safety valve if there is concern over high costs of meeting the standards.